Sept 10, 2015 (LBO) – With the installation of a new government comes hope of ways to unleash the creativity and potential of this beautiful island. With that in mind, this column will re-visit ideas, often discussed – depending on which circles you move in – about how this can be done. Here’s the first topic for you to consider: the opening up of the Sri Lankan tea industry. I believe the time has come. The managed opening up – we don’t have to go from zero to 100 in six seconds – should follow liberalization that has taken place, and been forced on, all other sectors. There are many flaws in the modern neo-liberal world, but a shortage of trade is not one of them. A careful liberalization spearheaded by someone from outside the industry should work quite well. Let’s take an analogy. The situation is a bit like French wine. We know there are good French wines, and there are bad French wines. Just because we get our hands on a gleaming bottle does not mean we expect it to be the best wine available. On the contrary, the lower the price, the greater the chance quality is not that good. Ceylon Tea is in the same situation. Consumers know they must make an effort to find quality Ceylon Tea. The presence of fakes and strange products that cannot be called tea does not diminish Pure Ceylon Tea. A lot is riding on the tea industry, and we should be unreservedly grateful to the incumbent companies that have carefully nurtured Pure Ceylon Tea, and brought it to where it is today. Now it’s time to push the industry into top gear. Liberalization is a must, as Razeen Sally of the National University of Singapore, told Lanka Business Online recently. The tea industry has strangely avoided this. I mean, no one is talking about diluting the brand of Pure Ceylon Tea. But by focusing on what the world is drinking — the WORLD, mind you — Sri Lanka could become the tea capital of the world. Some analysts have proposed having tea processing zones with major foreign and local investors who are carefully surveilled and monitored for their packaging claims. They would produce what the world wants to drink, and cater to the beverage industry. Maybe we need to make a distinction here between beverages and tea. Strict laws expelling them if labeling laws are broken, and laws on how the words Ceylon Tea are used, should be sufficient to ensure the segregation of Pure Ceylon Tea from, well… the other stuff. Ensuring minimum food standards and labeling of food products is something we do already, and Sri Lanka has made remarkable strides in the quality of some of its food and beverage products.We can hold our heads up high when our products compete with the best of the best. Sri Lanka has plenty of experience in the area of liberalization. Finding someone who can spearhead this should not be difficult. Maybe we can use infrastructure set up in Hambantota for this purpose, since we are searching these days. What is clear is that the global citizen wants to drink many things, be it green tea, chilled tea, organic tea, flavored tea, or my favorite recently in the Philippines – almond-flavored milk tea with tapioca pearls and konjac jelly. It was chilled, mind you. I would completely support the tea industry running an international marketing campaign that says: “That’s Not Tea.” But we need the money to do it. The government could finance it, if there was a thriving industry to pay a bit of taxes. We export around 320 million kilos of tea, about 16 percent of total exports in the world. It earns 1.5 billion dollars in revenue. That’s a poor return considering that almost every nation in the world consumes tea. Surprisingly, the United States, which we assume is a country of coffee drinkers, is quietly switching over to tea. 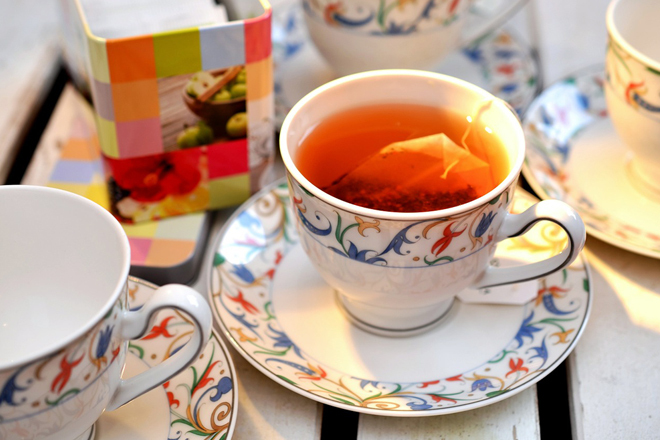 Around 80 percent of U.S. households have tea in their kitchens. More than half of the American population drinks tea on a daily basis, and 85 percent of tea consumed in the country is chilled, according to a recent article in the Washington Post. The market for tea in the U.S. alone is estimated at 10 billion dollars. Analysts have long said we are sitting on a gold mine that could drive the entire Sri Lankan economy forward. Most importantly, this growth will lift the monthly incomes of tea estate workers and give them a decent wage. It’s time we push the tea beverage industry into top gear.